If you know me well, you will know that I hate waste. Especially food waste, because… FOOD! I’m a pretty thrifty gal and I will usually use up all of my leftovers, freeze things and reinvent them. 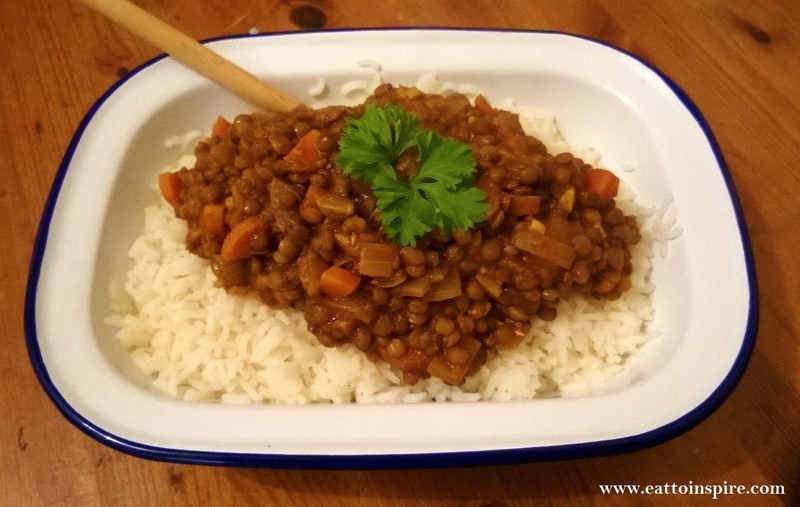 Last week, I made a giant pot of moong bean daal. It was tasty but the freezer was full and there was just so much daal. There is only so much daal a person can eat on any given week. Here is the daal in all of its glory. I had a dilemma on my hands. I thought there was no way I would be able to eat the remaining pot full of daal before it went bad or before I turned into a moong bean, whichever would inevitably happen first. I was thinking about this at work and I came up with a genius solution. 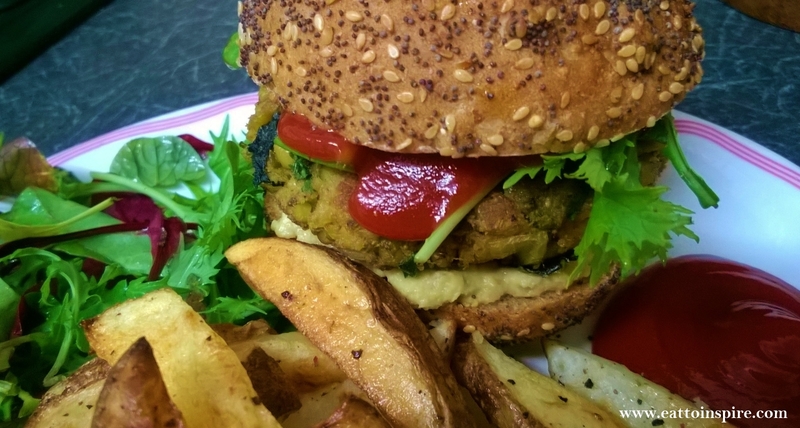 I reincarnated the daal into BURGERS! What?! Woah. How do you do that? There must be witchcraft involved?!! Nope, no witchcraft here folks, just some darn tasty burgers, mmmm. Take the potato masher and mash together the daal, breadcrumbs, potato and coriander. Add as much breadcrumbs as you need until you get a dough consistency. It doesn’t need to be too dry, just dry enough to transform into burger patties. 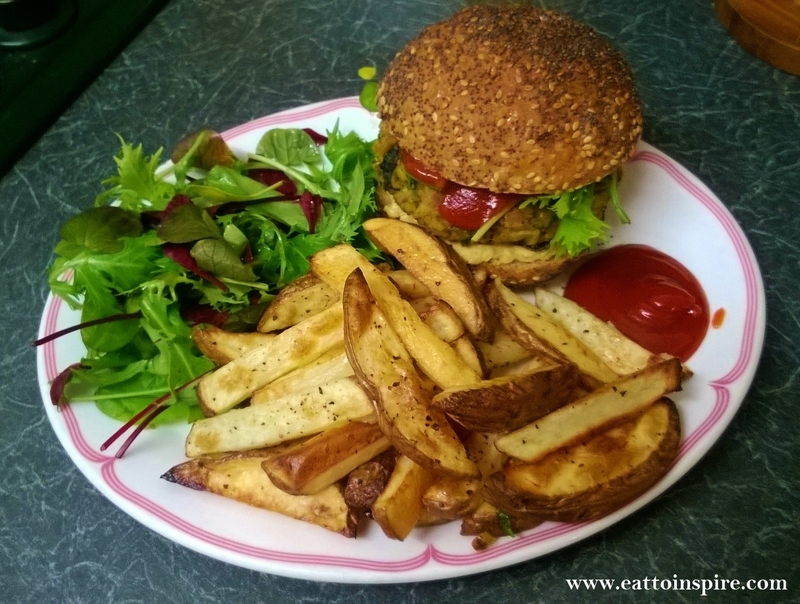 Using floured hands make into burger patties. Shallow fry in oil then bake in the oven for 15 mins. Voila! You just made some goddamn delicious burgers. Enjoy! Are you as excited by my creation as I was!? I went all out and made chips and some salad to go with this. This was one of the best things I’ve put in my mouth in a while. How’s my £1 a day challenge going? I have £18.25 left in my kitty. Doing good so far! I have big plans for some exciting posts over the next couple of days. Here’s some clues; booze and pancakes… Get excited! I must now go and buy ingredients for something that I am very excited to make! Loving your updates on this challenge. It’s such a good idea and you are really lucky to work where you work. It makes me think about where I could save money and waste less. This is such a great foodie makeover!